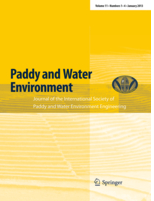 The Editorial Panel of Paddy and Water Environment sets the policies governing the journal. 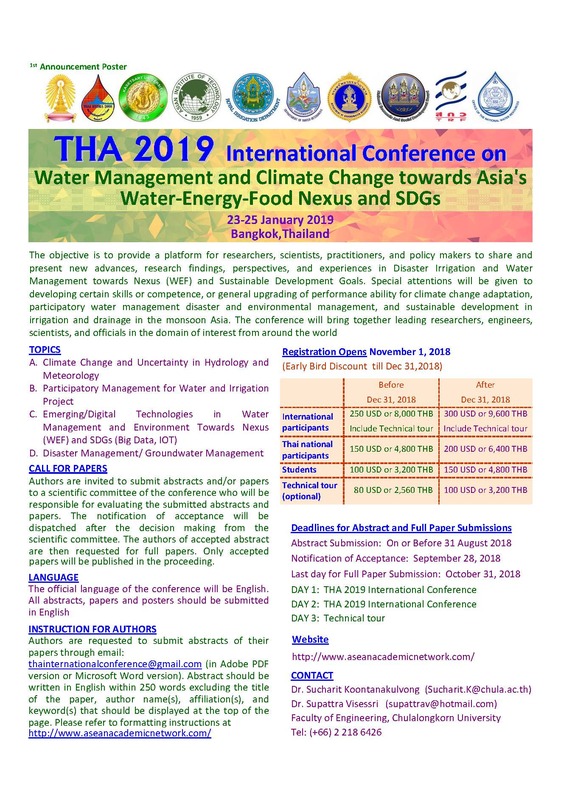 Responsibility for reviewing manuscripts submitted to Paddy and Water Environment for publication rests with the Editor-in-Chief, Editors, Editing Board and Managing Editors of this journal. The Editorial Panel is responsible for the contents of this journal. Articles, Reviews, Technical Reports and Short Communications are published in this journal. Editors of this journal are responsible for ensuring an efficient and fair review of manuscripts submitted for publication, and for establishing and maintaining high standards of professional quality of all contributions. Editors should be experienced and knowledgeable professionals in the fields of research or practice they represent. Unbiased consideration to all manuscripts offered for publication is requested. The Editorial Panel members shall not disclose information about a manuscript under consideration. The names of reviewers shall not be released by the Editorial Panel members. An editor shall not review a manuscript which is submitted by the editor or co-author of the editor. An editor shall not send a manuscript to reviewers who are known to have personal bias. If a manuscript contains plagiarized material or falsified research data, the editor shall forward such evidence to the Chief Managing Editor for investigation. All manuscripts must be submitted to the Chief Managing Editor by online using Editorial Manager supported by Springer-Verlag. When the Chief Managing Editor receives a manuscript he/she will forward the paper to a Handling Editor selected among Editors. The Handling Editor should review a manuscript personally before further reviewing and if he/she considers it unsuitable for publication in the journal, he/she may immediately reject it. Editors return them directly to the communicating authors. All other manuscripts (not rejected outright) must be reviewed by more than two reviewers (from multiple countries). Reviewers should receive an appropriate covering letter asking for review within three weeks. If this is not possible for him/her to review in his/her capacity or within the time limit, the reviewers should return response immediately to the Handling Editor, who can then forward it to another reviewer. It is advisable for the Handling Editor to ask a potential reviewer by e-mail on his availability and interest in reviewing the paper. On completion of the review process, i.e. when the manuscript and reviewer`s recommendations have been returned to the Handling Editor, he/she will then solicit revision (modifications, shortening or other alterations), accept or reject the paper and inform the communicating author. After receiving the revised manuscript, the Handling Editor will check and correct mistakes, omissions and ambiguities, and return the paper to the communicating author for correction if necessary. The Editor will also check all references for completeness and make sure they are quoted in the text and that citation dates in the text match those in the list of references. Accepted manuscripts must be forwarded to the Chief Managing Editor (not Springer-Verlag) Rejected manuscripts must be also forwarded to the Chief Managing Editor. On receipt of an accepted manuscript, the Editor-in-Chief will carry out any further editing if required. Final acceptance will be informed to the communicating author automatically when the Handling Editor has finalized the editing. The Chief Managing Editor will forward all accepted manuscripts to Springer-Verlag for publication. The above manuscript has been assigned to you. You will find the manuscript under “New Assignments”. It is possible to register new reviewers yourself by clicking on ‘Register and Invite New Reviewer’. Details on editing are shown in the following sections.